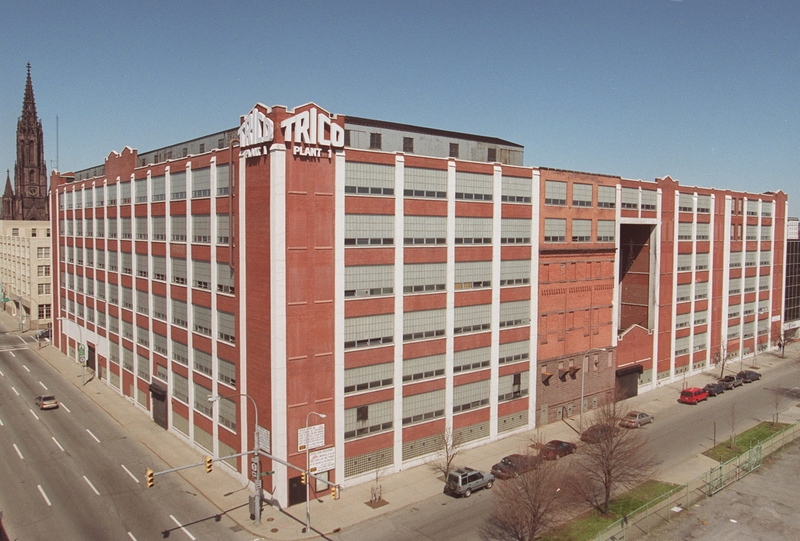 More than seven years after taking what city officials called “a major risk” in taking over the vacant former Trico Products Corp. manufacturing plant, a Buffalo economic development agency is turning over the sprawling downtown facility to a developer who plans to turn it into hotels, apartments, commercial and retail space, and a parking ramp. The board of the Buffalo Brownfields Redevelopment Corp. on Tuesday unanimously agreed to sell the 600,000-square-foot building at 791 Washington St. to Orchard Park developer Peter Krog, a prominent industrial redeveloper and engineer by training, who has pursued the property on and off for years. The purchase price, including closing costs, is $45,000, but city officials noted that Krog Corp. has already spent additional money on due diligence, preliminary design work and preparations to qualify the 2.12-acre property and project for state brownfields and historic tax credits. The state Brownfield Cleanup Program credits have been approved, but Krog is still working with the state Historic Preservation Office to negotiate the historic credits. That’s the only thing holding up the formal closing of the transaction, though it’s not expected to prevent closing. “They’re not butting heads. They’re just working out details,” said Brendan Mehaffy, Buffalo’s director of strategic planning and a member of the agency’s board. The city agency also noted that the building has suffered “substantial deterioration” over the years and would require a lot of cleanup work before it could be re-used. The agency obtained two appraisals, both of which considered the “significant environmental remediation costs which adversely impact the value of the property.” One appraisal gave the property a negative value – which means the city would actually pay Krog to take it off the government’s hands – while the other estimated its value at $125,000. “It’s really a labor of love for Krog Corp., given some of the issues involved,” said David A. Stebbins, vice president of Buffalo Urban Development Corp., which effectively oversees the Buffalo Brownfields Redevelopment Corp. This isn’t the first time Krog has shown interest in Trico. In fact, he was one of the bidders for the property even before the Buffalo Brownfields Redevelopment Corp. took possession, Stebbins said. Krog said he “lost interest” after that and only renewed his interest in the last year, after the Buffalo Niagara Medical Campus decided to purchase the former SmartPill Corp. headquarters building at 847 Main St.
Krog owned that building and had planned to convert it into an extended-stay hotel for the Medical Campus, but he gave up that chance to work with the campus instead. So he turned his attention back to Trico. But Krog acknowledged he wasn’t always so certain it could work. Krog is teaming up with Hart Hotels on the $50 million project. Plans call for converting the building into two hotels – an extended-stay hotel aimed at Medical Campus visitors and a boutique general hotel – with 230 rooms in all, plus several loft-style apartments of 1,200 to 2,000 square feet each. There would also be commercial and retail space to meet the needs of the Medical Campus, as well as a parking ramp with 250 to 300 spaces in the basement and part of the first floor. The developer plans to demolish part of the building to “create more daylight,” so the overall size of the structure will drop to 500,000 square feet. Krog said the specifics of the hotels, operated by Hart, have not been determined. “We’ve got a lot of options that are in front of us, and we haven’t made any decisions yet,” he said. He also said he did not yet know how many apartments would be created, saying that a portion would be a mix of residential and commercial space, as needed. “We’re going to have a feasibility study to really determine what the apartment needs are, and that will determine what we do and don’t do,” he said, referring to the residential demand for the Medical Campus. The building is also being viewed as a possible site for IBM’s new software development and innovation facility, announced Monday by Gov. Andrew M. Cuomo as part of the new Buffalo Information Technologies Innovation and Commercialization Hub. Plans call for the state to build and equip the 100,000-square-foot facility somewhere in downtown Buffalo; IBM will bring 500 jobs. “We have not spoken with anybody about that yet,” Krog said, but he’s interested. He said he hopes to start work in the early summer, with the first phase of the project – the two hotels – completed by early 2016. “That could change, but that’s the way it’s planned right now,” he said. Board members and agency officials called the deal a milestone and an achievement for the city.